Legend is that about 500 Mahar soldiers were under the British East India Company. Mahars, at that point were considered an Untouchable community, and were not recruited in the army by the Peshwas. 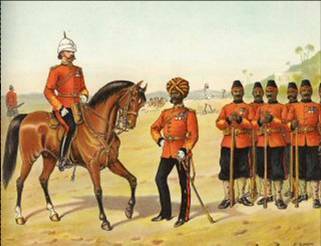 While the soldiers included in British Forces were Arabs, Gosains and Marathas (the caste). The Mahars, though untouchables, had been valued for their military skills for centuries. They formed a significant portion of Shivaji’s army as well. However, when the Peshwas took over, the Mahars on account of their low caste status were ill-treated by the ruling Brahmins of a particularly orthodox bent of mind. Next time, the Mahars regained their former status of military glory was when the British employed a number of them in their military units. The Battle of Bhima Koregaon was fought over a revenue-sharing dispute between the British and the Maratha ruler, Peshwa Baji Rao II. He was the last Peshwa of the Maratha Empire. Peshwa Baji Rao II was installed as a puppet ruler by the Maratha nobles (Scindia of Gwalior, the Holkar of Indore, the Gaekwad of Baroda, and the Bhosle of Nagpur). The British had subjugated and signed peace treaties with these factions, establishing Residencies at their capitals. The British intervened in a revenue-sharing dispute between the Peshwa and Gaekwad, and on 13 June 1817, the Company forced Peshwa Baji Rao II to sign an agreement renouncing claims on Gaekwad revenues and ceding large swaths of territory to the British. This treaty of Pune formally ended the Peshawar’s titular over lordship over other Maratha chiefs, thus officially ending the Maratha confederacy. Soon after this, the Peshwa burnt down the British Residency at Pune, but was defeated in the Battle of Khadki near Pune on 5 November 1817. The final battle was fought in village Bhima Koregaon, the final defeat. After suffering several battle defeats. A dejected Peshwa then met with John Malcolm on 2 June 1818, and surrendered his royal claims in exchange for a pension and a residence in Bithoor. 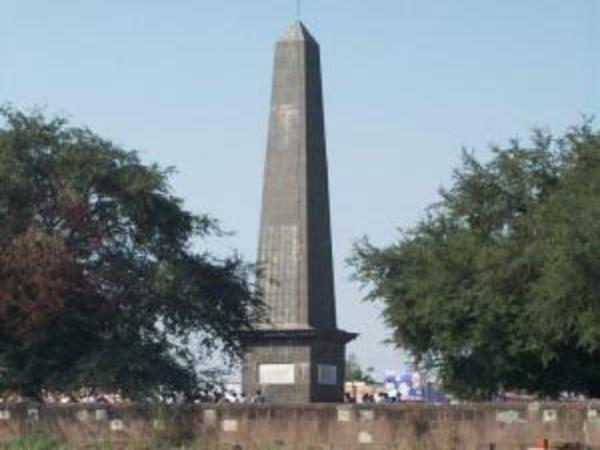 In 1851, the British erected a Victory memorial pillar at Koregaon-Bhima to honorVictory Memorial the soldiers -- mostly Mahars -- who had died in this battle. The obelisk was featured on the Mahar Regiment's crest until Indian Independence. While it was built by the British as a symbol of their own power. Today it serves as a memorial of the Mahars. Dr.B. Ambedkar visited the site. To commemorate his visit to the site, now thousands of his followers visit this memorial site every New Year's Day. 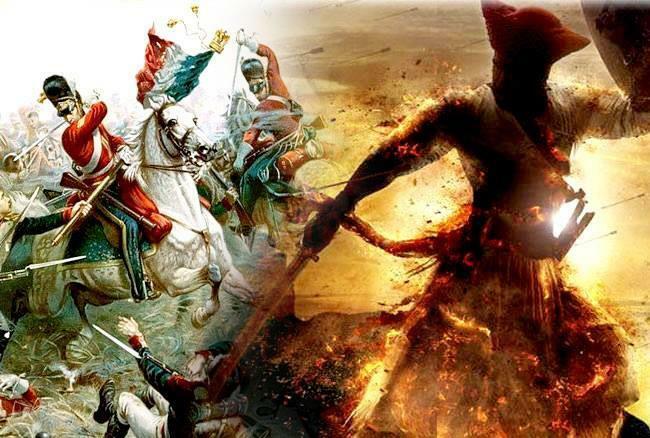 Despite this, as per the Dalits version of the Koregaon-Bhima battle, Mahars approached Peshwa Bajirao II to let them join his army against the British. Their offer was turned down. 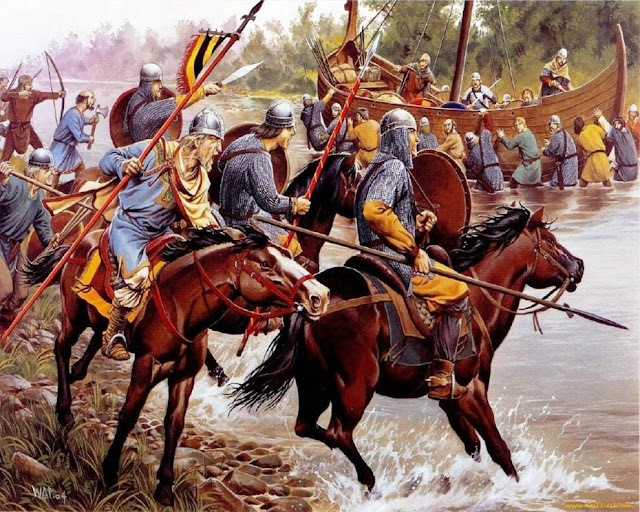 That is when the Mahars approached the British, who welcomed them into their army. 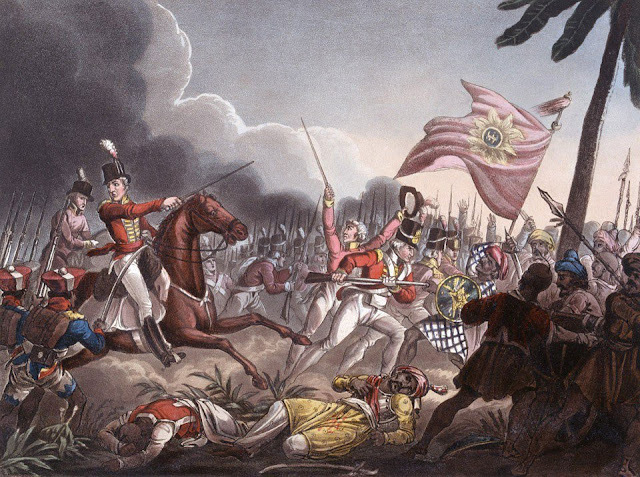 The Battle of Koregaon ended with the British-led Mahar soldiers defeating the Peshwas. The victory was not just of a battle for the Mahars, but a win against caste-based discrimination and oppression itself. Written and posted by Engr. Maqbool Akram: with help of materials and Photos on this topic available on net and in Wikipedia.